Everyone loves a good reuben and it often isn't the "meat" that makes it good -- it's the toppings. 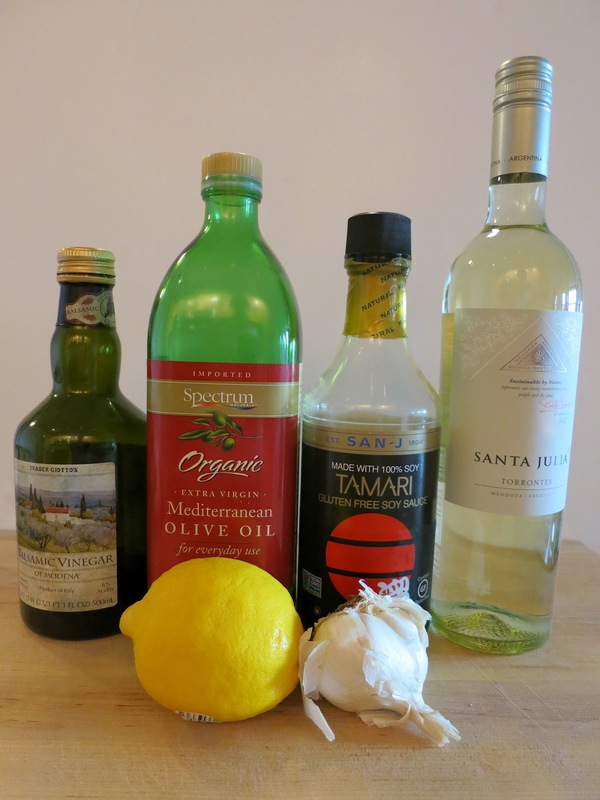 From the Thousand Island dressing to the sauerkraut, these are the items that make a difference. It's been a long time since I've made a tempeh reuben so as soon as I received a sample of the Wildbrine Dill and Garlic Sauerkraut salad, I immediately thought that this was the time to revive my long lost love by revising a recipe from Vegan With a Vengeance . 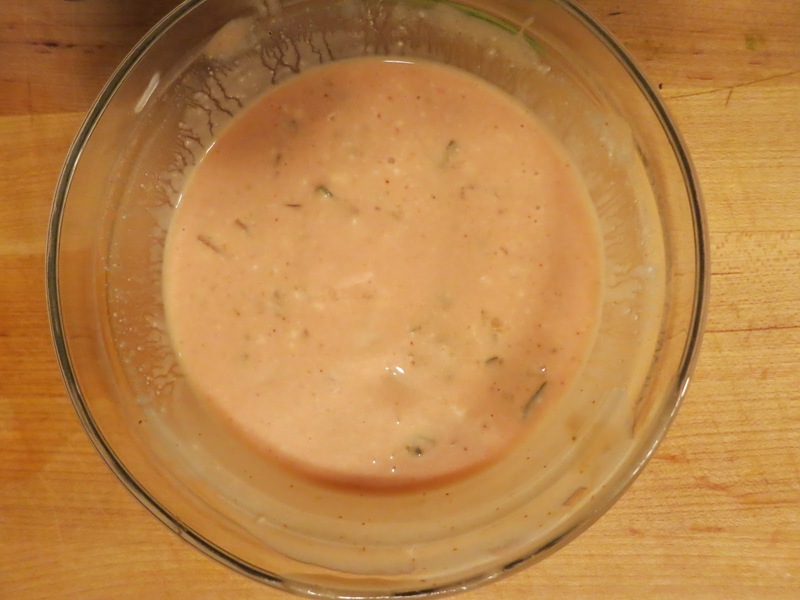 But, first let me just share with you what I've learned about fermented sauerkraut. Sauerkraut has long been touted for its health benefits from being loaded with probiotics and aiding with digestion to helping to boost the immune system. What makes the Wildbrine sauerkraut unique is that it is both raw and naturally fermented without the use of vinegar. The distilled vinegar used to pickle most other sauerkrauts lacks the health benefits as the distillation process pasteurizes and essentially kills the live micoroorganisms that offer most of the health benefits from the lactic acid created during natural fermentation. Besides the health benefits, the flavors that Wildbrine offers are bold and flavorful. The dill and garlic sauerkraut has just the right balance of dill and garlic without being overpowering and is sure to spruce up any reuben! This is my take on Isa's recipe. 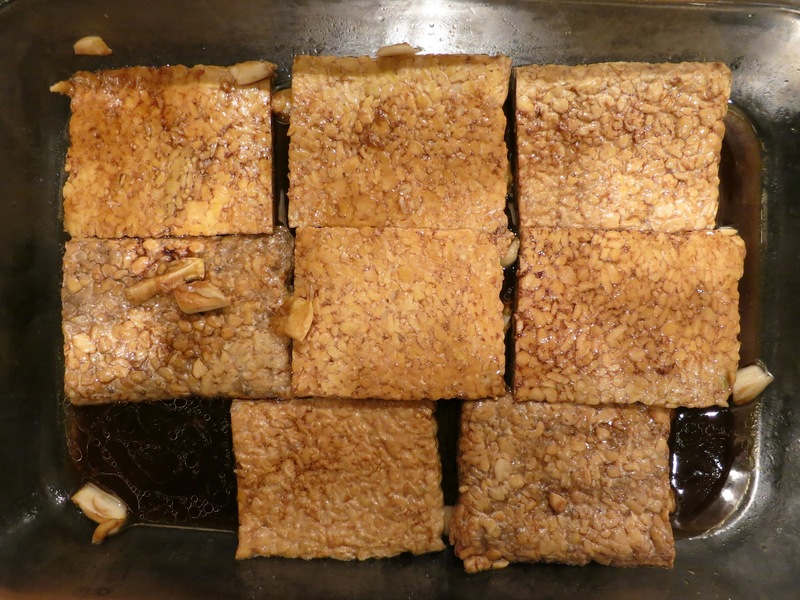 First, prepare the marinade by combining all of the marinade ingredients in a rectangular glass dish. 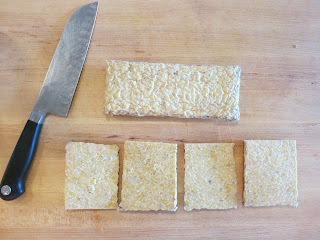 Cut each tempeh block in half, then slice it down the middle lengthwise so that there are 4 equally sized squares. Place the tempeh in the marinade and marinate for at least an hour, turning once. You could even marinate it overnight. Mix all of the dressing ingredients together and set aside. 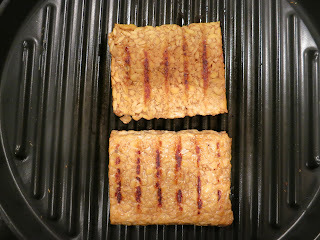 Once the tempeh has marinated for at least an hour, preheat a grill pan over medium-high heat. Cook the slices on the grill for 4 minutes on one side, until dark grill lines have appeared. Then, flip them over and cook them on the other side for about 3 minutes. 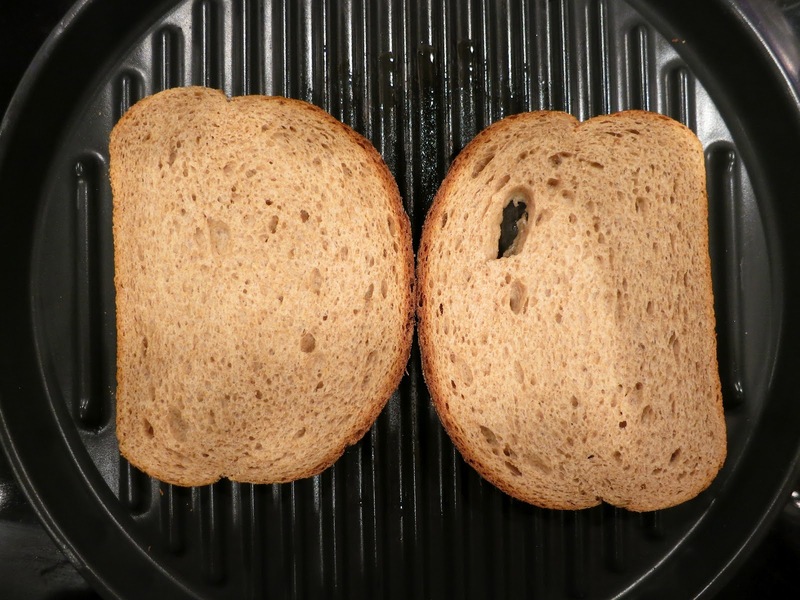 To prepare the sandwich, spread a teaspoon of margarine on each piece of bread. 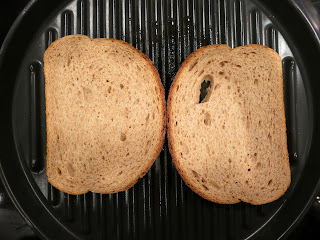 Place the bread on the grill pan and cook the buttered side for 3 minutes, flip over and cook 1 minute more (it's okay that the other side is not buttered). Then, assemble each sandwich. Place one bread slice on a plate, then top with 1-2 pieces of tempeh, dressing, sauerkraut, dill pickles and avocado, in that order. Top with another slice of bread. Cut in half and serve warm. You will find that the dressing is a bit runny so keep some aside to dip your sandwich into as some of it will come out. This could turn into a very messy sandwich, but it is very good! Wildbrine sauerkraut is being sold in natural foods markets across the U.S. including Whole Foods in northern California and MOM's in Maryland and Virginia. To find stores near you, click here.